A dashing adventurer, debonair, who loves a fight, he lives for the pursuit of excitement, a modern day Robin Hood. Simon travels the world, seeking new adventures, invariably seducing beautiful women along the way. By far one of the great TV series portrayed by my favourite Saint, Roger Moore in the 1960's series from Lew Grade. I still like the first series in black and white the best, the stories are very good and with the sleek looking white VolvoP18800 car, registration number ST1, the series is launched to float for most of the 1960's. 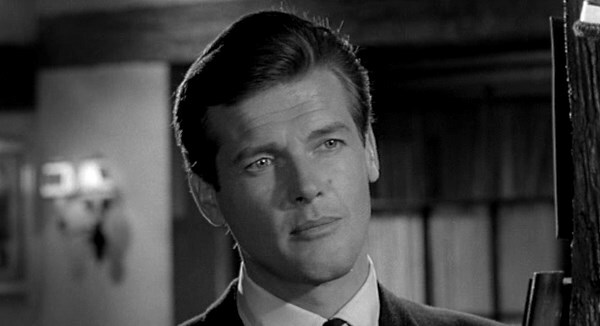 The very first episode, The Reluctant Husband is the benchmark for the series, showing Simon Templar in his role of pursuing people who cause injustice against others. He persues a failed playwright who is suspected of trying to kill his third wife for the gain of money. 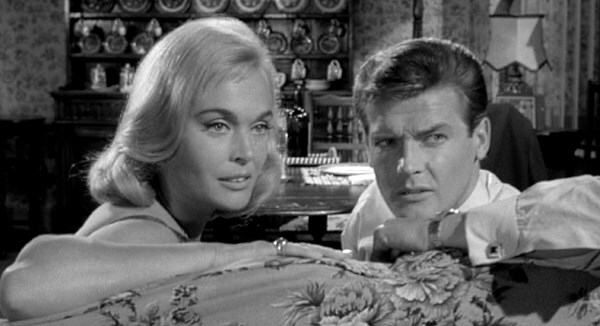 Assisting Simon is the beautiful insurance investigator, Adrienne Halberd played by the stunning Shirley Eaton. The Saint's creator is Leslie Charteris and his stories have continuously appeared since 1928. This makes Simon Templar the longest running character in contemporary detective fiction. Played on film by George Sanders in the 1940's. It took a few years before Charteris would agree to sell the TV rights to Robert S Baker but gladly he did and the TV series started in 1962. The series is out on DVD, so why not have a winter warm evening in, with a debonair man and beautiful women.